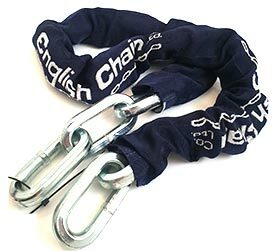 High grade, extra heavy duty 14mm pentagonal section security chain made from special alloy steels for maximum strength. With Fabric Coating to protect paintwork. Through- and case hardened for high resistance to hacksaws and bolt cutters. 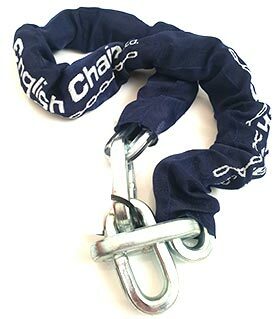 Specification Square section alloy steel chain, case hardened and zinc plated. Sold Secure Gold rated for motorcycles.